It seems odd now. 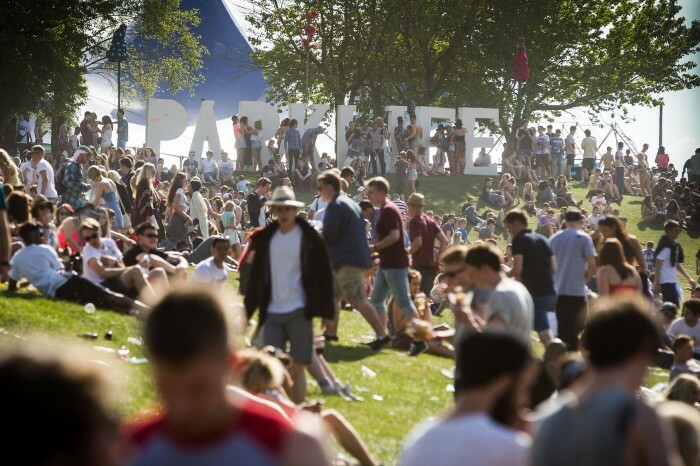 Only a matter of months ago, I seemed to have more reasons not to attend Parklife 2013 than I did to actually go. Many of those who had attended last year were otherwise committed, there’d been an irritating amount of personal issues, and the shifting of the location to Heaton Park was made all-the-more frustrating given that Platt Fields was just around the corner from us. The convenient nature of the festival had been completely lost, coupled with a slight increase in ticket prices. I honestly wasn’t sure if I could be bothered with it all. But then, one revision-deep afternoon, I looked at the line-up. I’d glanced at it before, but this time, I really studied it. The festival may not have been literally on my doorstep any longer, but the hypothetical selection headache that the names on the stages gave made me realise that I couldn’t afford to miss it. In time, news began to filter through that more and more friends had begun to purchase tickets, and by the time that Parklife 2013 finally rolled around, a solid gang of excitable twenty-somethings all sat congregated in our living room, bopping to house tracks on the speakers, chugging cheap wine and planning our respective festival routes. It was all change this year. The common perception seems to be that WHP couldn’t organise a piss-up in a brewery, and they did nothing to alter those opinions on the first day, as badly managed bus queues resulted in a frustrating wait. We got to the Fallowfield bus queue at 1, and after exchanging our tickets for wristbands, boarding the buses, arriving at the festival, and then queuing at the actual venue, we FINALLY stumbled through the gates at 4pm. Naturally, it took us a while to get our bearings and the phone signal was so appalling that nobody could get hold of one another the entire first day. I still had text messages coming through the following Tuesday. Exasperated, dehydrated and a little fed-up, we made our way across to Derrick Carter. If anyone had the potential to pick up our spirits, it was the veteran tech-man. It didn’t take long. Within 10 minutes I’d forgotten about the ordeal of getting to the festival and was throwing myself around in excitement, as Carter ripped away from anonymous tech-house to jangling piano keys that sent the crowd bouncing around in the scorching 4pm sun. His ability to transform our foul moods to ones of euphoria has to go down as him being a highlight of the weekend. Urged on by the Kaluki promoters, the crowd then warmly welcomed Bicep. The excitement of actually getting into the swing of the festival courtesy of Mr Carter must’ve overwhelmed me as I knocked back beers like water, and the result is that Bicep’s performance is admittedly a little fuzzy. I remember exchanging nods of acknowledgement with my friends as if to say “good this init? !”, but as for the records spun, I couldn’t name a single one in any sort of confidence. To claim that they whacked on some 90’s-inspired house is a little more than a stab in the dark. I was definitely continuing to enjoy myself, but I think at that point I’d have happily clambered on someones shoulders and wailed along to One Direction and still had a good time. It was over to the Circoloco tent next to bow down to the king that is Kerri Chandler. He continued in very much the same vein with a typically inspired set that began with the likes of Julio Bashmore’s “Battle for Middle You” before a throwback to early-90’s house anthems swamped in synth and dripping in funk. Next up was a trip to the Paradise tent. The atmosphere upon arrival surrounding Dyed Soundorom was strangely subdued. He stood swaying slightly whilst hunched over the decks before giving a half-enthusiastic ripple of applause and allowing Hot Natured to set up. A roar of pleasure burst out as Jamie Jones and his ever-cool demeanour strolled on stage. JJ has gotten a lot of stick for his pop-sympathetic tracks from some of the house community – DJ’s included, but he’s the coolest guy in the business and works ridiculously hard, performing more sets than days in the year in 2011. You’re always going to be the envy of the industry when you’re as successful as Jamie Jones. He was unsurprisingly nonchalant as he stepped up to his position on stage, clapping the crowd before becoming totally immersed in his music. As for the summary of Hot Natured – there’s no denying their ability, and Lee Foss and Richy Ahmed are both solid producers. Ultimately though, I don’t think Hot Natured are entirely my cup of tea. “Forward Motion” strutted around the tent for kick-off, and was a lot of fun for a couple of minutes but then seemed to drone on a little. This for me seemed to summarise their set. I was however very happy to hear “Reverse Skydiving”s drawling vocals and funky tone, and I sang along with Annabel Englund from beginning to end, constantly grinning from ear to ear. It was however a little unfortunate that we had to scuttle off before the blissful “Benediction” radiated through the tent. In an attempt to mix things up a bit, I took a quick trip to the Hospitality tent to see drum n’ bass boss Netsky taking the decks. A very different crowd were on show here with many middle-aged men jolting around in the dark. Drum n’ Bass is a bit like a friend who talks too much – always enjoyed best in small doses. And that’s exactly what we did, taking in a high-strung half an hour from an impressive live performance and slipping away to the Kaluki stage before it all became too much. We managed to catch the end of the house queen that is Maya Jane Coles before Heidi wrestled her way on stage. The former was predictably excellent but would’ve been better suited for an indoor tent, and Heidi’s set seemed to work better. How the woman doesn’t have neck issues yet is beyond me. Every single time she plays, Heidi never fails to throw her head around as if she were being controlled by a maddened puppeteer. Her hair flicking performance was in full swing here as she dropped Percolator, Breach, and several Jackathon anthems that had the crowd going mad. There seemed to be a collective will from everyone to pull back the rapidly setting sun and allow the festival to go on. A walk around the park followed in an attempt to set our heart rates straight, taking in the scenes from several different tents, one of which being headliners Disclosure. Say what you want about the duo (there’s been a mini uproar amongst the underground house scene following their shift towards mainstream pop) but they pulled in an impressive crowd and as I strolled past I peered inside the tent to see a unanimous sway as “What’s in your head?” washed over the crowd and the Disclosure FACE logo flickered around on the visual amidst the strobe lights. For us though, it was destination Fake Blood. It’s a decision I’m unlikely to ever regret, as we ended the Saturday on a complete high induced by the quickened drum patterns and unpredictable keyboard stabs by the UK DJ. Sunday seemed effortless in comparison to the previous day. We’d planned to head out an hour earlier to avoid the disgusting queue times but, somewhat inevitably, everyone struggled to pull themselves from their beds and get themselves together following the hectic and substance-fuelled first day. It was a wonderful surprise however to go through a quick and painless bus queue, and similarly a reasonable festival queue at the venue itself, and we got there with a load of time to spare. First stop – the bar. After wishing one particularly lucky friend a happy birthday and making plans for the day, first up was Ben Pearce in the Big Top tent, which along with the WHP Presents tent, sported an absolutely mouth-watering Sunday line-up. A superb crowd had gathered for Pearce, and his set really hit the spot, dipping amongst several house sub-genres before throwing on his own personal classic “What I Might Do”. I’d been very proud of myself at the time for taking what looked like an excellent video of this section of his set. However, on second viewing, I’d noticed that it’d been completely ruined by me loudly slurring the lyrics over the top of it. I blame the beer. A switcharound in set times resulted in an accidental visit to Max Cooper around 4pm. We’d stumbled across the set completely by accident after initially aiming to see Todd Terje & Lindstromm, but it didn’t matter in the slightest as Cooper pumped out a wow-factor set laced with a high-tempo trance element and explosive drum-kicks. A sweat-drenched guy waddled over to me just as the set-up for TT began to take place. “Is this Todd Terje mate? I want Inspector Norse to come on” he asked, struggling to ensure he didn’t trip over his own jaw. The Norwegian DJ is known worldwide for his production of what is arguably the happiest song in the world in “Inspector Norse”, and as the good crowd that arrived at Big Top showed; it has acted as a gateway for him. TT & Lindstromm pushed out some idyllic tunes synonymous with sunsets and beaches that had the whole tent swooning in delight. It was a trek over to the WHP Presents tent next to see the ever-dependable Eats Everything & Justin Martin. Not long after squeezing our way to a good place, one moron inexplicably managed to climb one of the pillars propping up the tent. Whilst everyone dubbed him a “legend” initially, it wasn’t long before his waving and screaming got tiresome. Somewhat inevitably, a barrage of drinks were sent flying his way, and as he decided enough was enough and attempted to get down, he slipped at the wrong moment and disappeared amongst the huge crowd, which was met by a roar of appreciation. I’ve no doubt the guy was alright, he didn’t fall far. Besides, if you’re going to do a stupid thing like that, you deserve a few cuts and bruises. Whilst this incident was humorous, the real deal was all on stage. Eats Everything and Justin Martin played a wonderful set that seemed to be constantly heading in different directions, teasing the crowd with brief segments of classics such as “Ruff Stuff” and “Ghettos and Gardens” before allowing them to fully crash in a few minutes later. It was enthralling stuff, with Mr Martin beaming as he bounced between the turntables and Eats Everything punching the air with his head buried in the decks. Adam F’s “Circles” remix came storming out of the speakers to throw the crowd around and the “Ruff Stuff ReRuff” bullied its way through the tent soon after. A chorus of “Hey hey hey” echoed throughout as “The Gettup” waltzed around, and there was no escaping the brilliance of these 90 minutes. After a quick bite to eat and – you guessed it – more beers, it was back to the WHP tent to see Scuba. It was great to hear him play his popular anthems such as “Adrenaline” and “The Hope”, and having never seen Scuba before, I was completely drawn in by his alternation between dark, brooding house and aerobics-class workout tunes. During, an excitable girl asked us to try on 3D glasses and look at the strobe lights. This for some reason seemed to fascinate me briefly, before we eased our way into Hudson Mohwake Presents to catch some of Jackmaster. We’d been in there less than five minutes before he threw out Blue Monday, and my friend working behind the bar raced away from his stock duties to briefly pump fists alongside us as New Order’s guitar twangs rattled around the tent. We had a choice of headliners to finish the weekend, and given that I’d seen Bashmore before – it was between DJ Fresh and Boys Noize. I’d heard nothing but rave reviews about the latter, and he’d been someone I’d wanted to see for a while. My friends agreed, and after briefly taking in a lively set from Shy FX, we travelled back over to Big Top. A colossal crowd had congregated for Totally Enormous Extinct Dinosaurs, and we caught the end of his powerful mix before Boys Noize hopped up onto the decks. What followed was a set that felt like an incessant electric shock that zapped the tent for 75 minutes. The strobelights were so heavy I could barely see a thing, purely immersed in fast and furious electro-house and analogue techno. I scrambled away to the bar to get one last beer for the weekend, and by the time I’d gotten back to the tent my friends were nowhere to be seen amongst the electrified crowd. I danced away on the periphery, completely content with an ice cold Coors Light and sunglasses, before reuniting with the gang at the huge PARKLIFE letters and boarding the buses home. A debrief in our living room followed, with everyone in great spirits and each having their own hilarious stories to tell. Some of these tales contained projectile vomiting, tears, and blurred memories, but everyone had come to the conclusion that the weekend had been one to savour. One friend had gone so incredibly overboard with enthusiasm that he’d exhausted his entire energy by 8pm Sunday, and was forced to sit on the hill wrapped in a blanket until Boys Noize’s shock-style finally relented. Any regrets? I do wish I’d caught a glimpse of Jurassic 5 and bopped along to Concrete Schoolyard, and missing Ben UFO back to back with Pearson Sound is acting like an itch I keep wanting to scratch, but otherwise I was satisfied with who I’d been able to see, and – more importantly – thoroughly impressed. 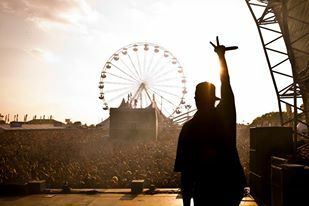 Example and Plan B headlined the main stage on each separate day and had their fan-bases screaming along, whereas some friends complained that they’d managed only 17 seconds of Rita Ora before deciding that it was all too much! Nobody could have asked for better weather, as thousands of us danced under the sizzling heat all weekend. It was stupid o’clock Monday morning before I stumbled to my makeshift bed, and as I hit the pillow, I felt a smile creep over my face. And to think, I almost hadn’t gone.